How to choose the right Email Marketing Automation solution for your Agency? 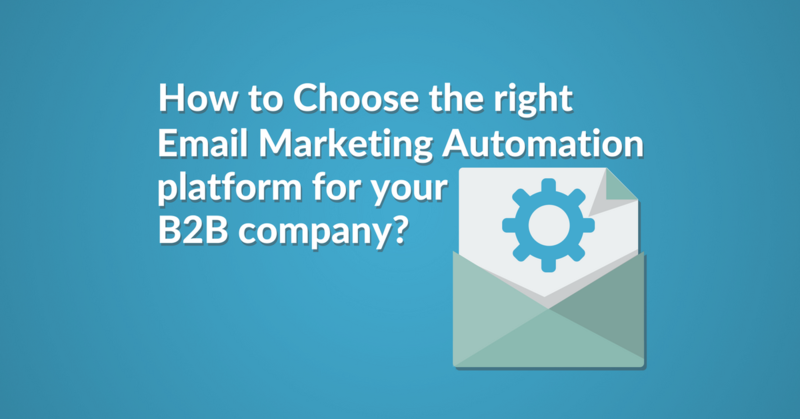 Choosing the right email marketing automation provider shouldn’t be too difficult. Still, there are questions you should check; features you need, the background technology of the provider and the business model you want to use. Here you can see a complete guide on how to choose the right email marketing provider for your agency. Although the feature set of an email marketing automation tool can be important, you have to know that most of the software out there does not focus on only your needs; but also their own interests and some features might not be a good fit. Therefore look for solutions instead of wide range of feature set. Think about your customers’ needs and try to convert their needs into solutions you can provide. And then find the best solution for you, not the tool that has millions of unwanted features. Here are the most important features that are crucial to satisfy your clients’ needs. As an agency you handle many clients at a time. While it is not different when it comes to the actual email marketing automation, it does mean that you have to handle your clients’ accounts separately and you need the flexibility to toggle between them easily. Thus, Client Manager is a must when you choose your tool. A Client Manager gives you the opportunity to execute your daily tasks rapidly for every client you handle and also gives you the power to toggle between them when it is needed. This is also important in terms of data compliance and keeping proprietary data separate. Teamwork is another important part of your decision. You probably have a designer, an account manager, a copywriter and more on your team. You want your copywriter to write sales pitches, your designer to build amazing templates, your account manager to report statistics and so on. So you should pick a solution that has Unlimited Invitation Opportunity and supports Permission Levels for each colleague. In practice, you should have at least 1 admin who oversees everything in your client’s account. This person invites the designer with “Designer” permission level. He will be able to build email templates and upload HTML emails. The admin sends an invitation to the copywriter, who will be able to only modify the textual elements in your emails. 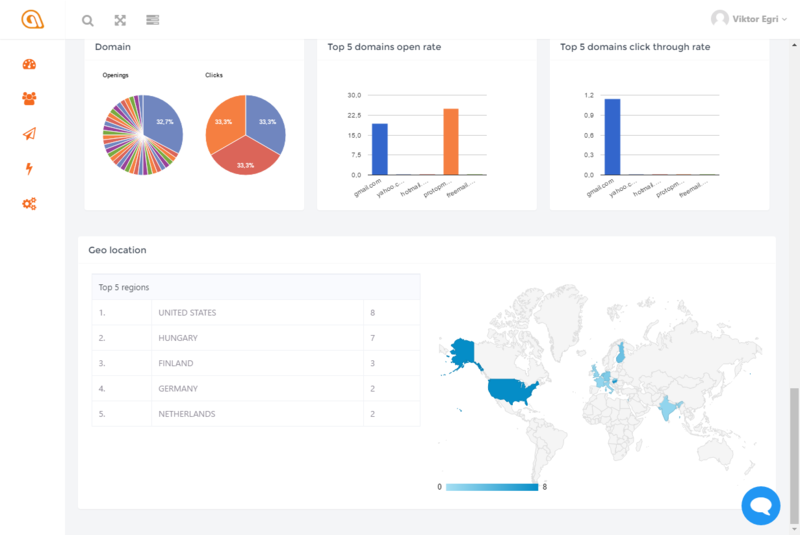 Then the account manager will gain access to the reporting dashboard and campaigns statistics pages. 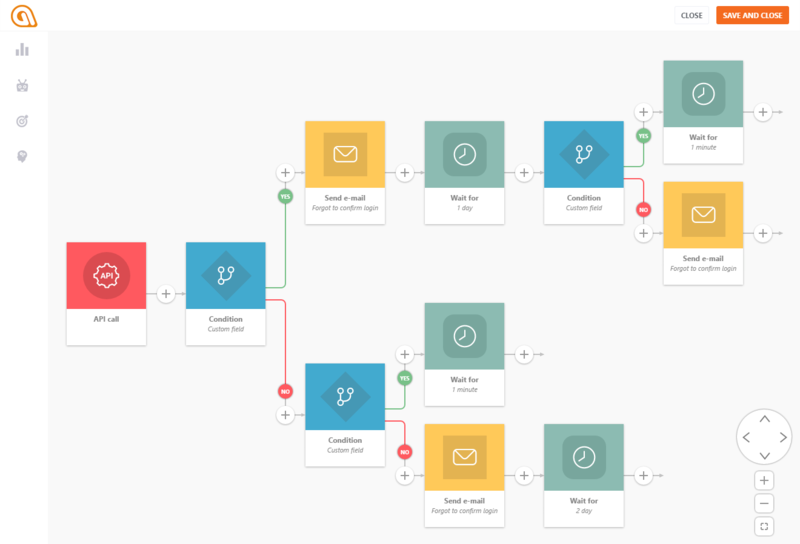 You can set up more permission levels based on your agency specific needs; flexibility is a must when it comes to email marketing automation. Choose a solution that helps your organization work as team and foster collaboration. As email marketing and automation exploits the email channel opportunities, you have to be able to send emails that are relevant, timely and personalized. The most important thing is that you have to reach your most important tasks easily. So this is where empathy meets technology; a solution with less functionality but only showcasing the ones that are truly part of your processes is an advantage. It saves you time while helps you to achieve more. Find an email marketing solution that truly knows your needs and satisfies it via an intuitive, easy-to-use and simple interface. Not only can you finish your daily tasks for your clients faster but it also provides a place that you can enjoy. Working on a boring and grey interface is not fun at all! Also, showcasing your expertise to your clients on a visually modern interface supports your brand. Good email design is a key part of your clients’ communication. But coding is very time-consuming. Not to mention that your HTML should support mobile platform. Nowadays it isn’t a nice-to-have, it is a need-to-have. 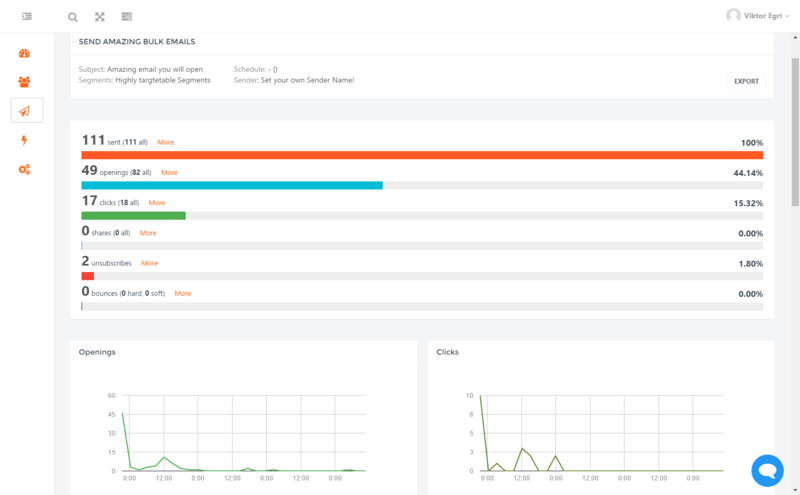 So you need a drag and drop email builder that saves you time and guarantees responsivity on any email client or device. 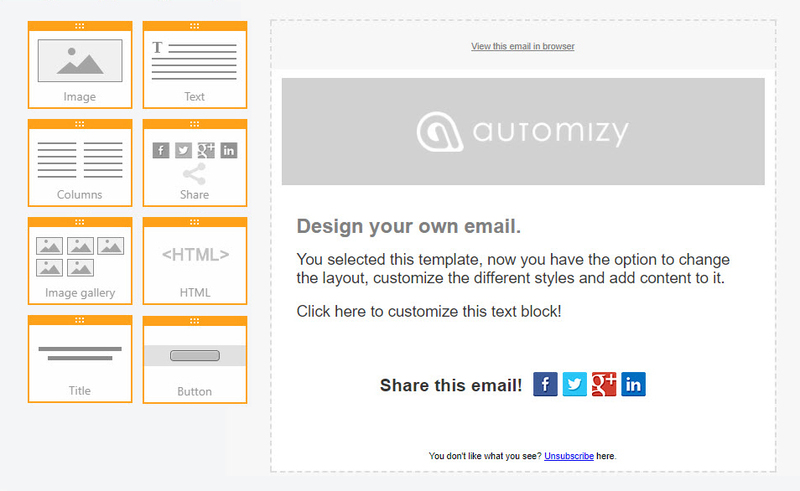 A drag and drop email editor helps you build amazing newsletters and promotions easily without any need for coding. It saves time and resources. But a good email marketing and automation solution also lets you upload your pre-programmed HTML emails too. Be careful, it is not supported in every system. Proving the value of the email marketing campaigns you handle is key for agencies like you, in order to prove your success to your clients. Although you will probably usually show only the KPIs and high-level metrics, you should have the possibility to dig deeper in order to tweak and improve your work. You should always monitor the statistics of your newsletters, special promotions, and activities. This way you can prove your successes and see where to improve. Reporting to your clients transparently helps you prove your expertise. It increases satisfaction, thus it will increase the lifetime value of your clients. But not only the analytics is important. It should be good visually too. Good visuals help you understand the data faster and it also helps you present it to your clients. You should also find a solution that shows all this data on a timeline. It helps you explain subscriber behavior to your clients. This data will support your arguments to your clients when it comes to strategy. Email marketing automation is a good opportunity for you as it establishes an ongoing connection with your clients. High-level performance helps you show your clients the main tendencies of the automated marketing system. Seeing this data on a timeline will help you show your clients the improvements you achieve. Workflow specific data and automated email statistics are very important if you want to dig deeper, find the bottlenecks and tweak your client’s messages. It is also very useful to present data visually to explain specific data-driven decisions you make. Analytics is something that is truly crucial for agencies because it is a solid proof of your expertise. It also helps you when your clients disagree with you on different topics. Data never lies. If you would like to impress your clients, you can provide not only quantitative but qualitative data too. Seeing subscribers’ actions one-by-one is a very powerful feature. 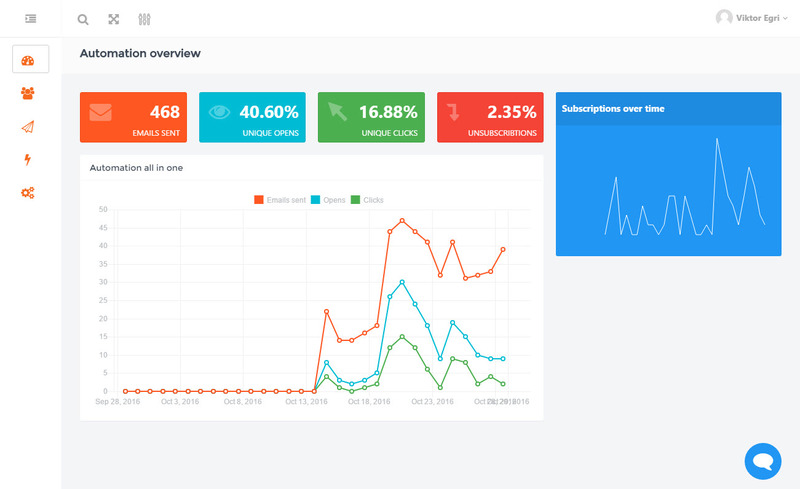 You can present the actions of your clients’ subscribers not only as simple stats but as real people who have a decision-making process before buying their products. Presenting Contact Journeys and contact specific analytics to your clients will make them blow their minds. Getting as close as it is possible to their prospects and buyers is one of their most important task. Thus, seeing every action their subscribers make on one timeline is something that they are implicitly want and desire. As an agency searching for an email marketing automation solution, you have to check 1 more very important aspect. The provider’s ability to innovate. As it will be a long-lasting relationship between you and the provider you choose, you should always check their potential and ability to adapt to change. 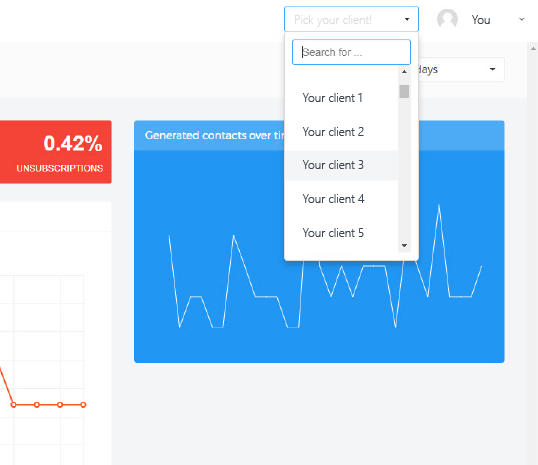 These features will be fully automated, but you can charge your clients for them, as an upsell feature. For example, sending time personalization will automatically send your emails when your clients’ subscribers have their inbox open. The AI will recommend better-performing subject lines. The AI will generate AB tests for your newsletters and automated emails automatically without any need of manual intervention from you. It is truly a big opportunity for agencies: you can upsell your clients with literally no additional work. Automizy will release this in 2018, but it is huge potential to increase your revenue – always look for this when you choose your provider! Features are awesome but without a robust sending infrastructure, it is worth nothing. Therefore you should ask about the following specifics. Deliverability in email marketing and automation is very important. The higher the deliverability rate, the more emails get into the inboxes of your clients’ subscribers. 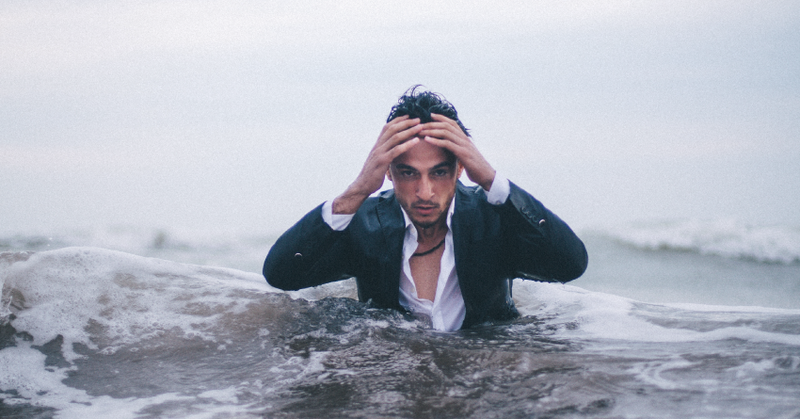 There are 3 main variables that could improve or lower your deliverability rate. The second variable is the engagement rate of your emails. “Engagement rate” means the interaction your clients’ subscribers have with your emails. The higher the open and click rate, the better the deliverability become. Also, if your client doesn’t have a quality contact database, it means there will be lots of fake, invalid or “sleeping” email addresses. Therefore the engagement rate will be very low which hurts your deliverability. The third and most important part of the deliverability game strictly relies on your email marketing automation provider. These software use a specific technology to send emails. These are the SMTP servers (basically servers that send mass emails). When an SMTP server sends an email to an email client (for example to gmail or to outlook) the client will check the sender server’s quality level. This quality level is the reputation of the SMTP server. If lots of people send spam (or even worse, phishing emails) from an SMTP server it will ruin its reputation in the eyes of the different clients. If the email client sees that the reputation of the sender server is low, it will not accept emails coming from it. It means the technology background will hurt your deliverability. Also, there are regulations that should be always applied by the sender and usually it is the provider’s responsibility. If a provider continuously violates these rules (not because they are bad guys, just because the don’t follow changes of these regulations) their servers will be blacklisted which means your deliverability rate will be exactly 0%. This is why you should always choose a provider that has SMTP servers with high reputation. Usually solutions that have big clients from the financial or the insurance industry will pay attention to this and have to always meet the legal requirements. Have you ever sent a support request to one of the tools you already use? Have you ever had a question? Then you should know that customer support is very important. It should be fast and should give you solutions. So avoid the companies that accepts your requests and then they are culminating these support tickets between departments instead of answering them. This is why you should choose companies like Automizy where the support team provides you fast answers and solutions instead of stress. Now that you know what the most important features are for you, the next logical step is finding out what service you want to offer to your clients. And then always check whether the provider helps you provide it via their solution. You can use a white-label solution. Thus, Automizy runs with your own branding as if it would be your own tech. You can charge more. You can resell the tool for any price you find good for your business. In this business model, you just provide the tool for your clients as if it would be your own platform. Still, you get technical support and a true partner that supports your service invisibly from the background. One of the main advantages is that you can get monthly income from your clients that will never end. The other business model is when you bring in clients to Automizy, you handle their accounts and get affiliate fee every month. Affiliate partnership has the advantage of continuous income. The best option is to make your clients pay for the service and you still get the correspondent affiliate fee for them every month. Are you interested in the benefits of email marketing & automation to agencies and to your clients? Learn more in our most recent webinar! https://automizy.com/wp-content/uploads/2017/09/How-to-choose-the-right-email-marketing-and-automation-solution.png 445 850 Gabor Koncz https://automizy.com/wp-content/uploads/2018/02/logo-2.png Gabor Koncz2017-09-19 06:34:072019-03-06 08:04:01How to choose the right Email Marketing Automation solution for your Agency?